Ranch dressing dates back to the owners of a California dude ranch. Yes, the ranch was named Hidden Valley and they served their guests a special salad topper that combined herbs, mayonnaise and buttermilk. This being the 1950s, the best they could to commercialize their invention was to sell little packets of seasonings which buyers then mixed with their own perishables at home. The breakthrough of Hidden Valley Ranch dressing came in the 1980s after chemists at Clorox (the new owner of the brand), figured out the right combination of preservatives to allow the dairy-heavy dressing to be sold as a "shelf stable" product that could last for 150 days. While not as tasty as ranch dressing perhaps, when it comes to banking, Basel III has a different definition of stable related to bank deposits. Under new Liquidity Coverage Ratio (LCR) regulations, the largest banks must assess the stability of their deposits in a 30-day market crisis. The goal is to ensure large banks can survive a significant liquidity stress for a full 30 days. This new ratio comes straight from lessons learned out of the credit crisis and the idea is that it also gives management teams and the government more time to deal with things without having to worry about liquidity events during that window. The good news is that readers of this publication do not have to do this because the LCR applies only to banks with $50B or more in assets. What you do have to deal with however, is that this "best practice" trickles down, that you have at least thought about it on some level and how the big banks change their business model, if at all, to deal with this (along with the potential impact on your business model as a result). Already, the biggest US banks are dumping hundreds of billions of dollars of deposits in order to comply, according to the Wall Street Journal. That is because certain types of deposits that have been popular at big banks, like commercial deposits not tied to the customer's operations or government deposits, are deemed by LCR rules to be most at risk of flight. That means they need to have very liquid securities or cash offsetting them dollar for dollar otherwise the bank can just send the depositor packing. While most community banks we know cannot handle a $100mm deposit from a single entity and don't want that sort of concentration risk, there may be some opportunity to capture smaller depositors as a result of the turmoil around this issue. Consider that the LCR rewards big banks for having retail customer deposits that are part of multiple relationships or tied to checking accounts. Those are viewed as sticky and much less likely to fly away in the short term. That means big banks will seek out these depositors (paying up in rate to do so) and will try to avoid larger depositors (cutting the rate or charging this group of customers even). That means community banks need to have a good handle on deposit relationships and a good understanding of what the big banks are doing that could negatively impact community bank NIM. As with any regulation, there are winners, losers and plenty of unintended consequences. As the big banks change their business model here, community banks will have to keep an ear to the ground to make sure funding does not shift away to the larger banks. As such, keep sending your teams into the big banks to see what sort of offerings they have on the funding side and change your mix and product offerings as needed to hold onto your market share. 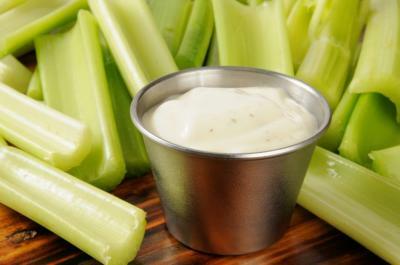 Speaking of share, ranch dressing is now believed to be the most popular salad dressing in America. It shows you what a little bit of stability can do. Yields went up 1bp as investors await the outcome of the FOMC meeting. A McKinsey study finds 20% of executive leaders say the best way to boost IT performance is to replace IT management. Fed research on small businesses with less than 500 employees finds 34% use contract workers and the median number of contractors is 3. The Wall Street Journal is reporting the US economy accounted for 23% of global growth in 2015, the highest level since 2003. Research by Wasp Barcode Technologies of small businesses finds the top marketing tools used are: email (54%), website (51%), social media (48%), word of mouth (45%), direct mail (37%), internet advertising (35%), TV/radio/print ads (34%), print collateral (32%), search engine optimization (25%) and tradeshows/conferences (23%). Meanwhile, small businesses use both online (56%) and traditional marketing tools (44%). A McKinsey study finds areas identified as the most effective ways IT enables business objectives are: sharing knowledge (71%), delivering productivity gains (65%), tracking customer profitability (62%) and creating new products (49%). Research by the Spectrem Group finds the number of millionaires in the US grew by 300,000 last year, pushing the total to 10.4mm. This 3% rate is slower than the 5% rate of 2014 however. A survey of affluent investors by Spectrem Group finds confidence in the stock market has tanked to the lowest level in 38 months. Fed research on small businesses with less than 500 employees finds the top two reasons for borrowing are to expand the business or to meet operating expenses (i.e., cash flow).